Dr. Tom Catena seeing patients with hospital staff at the Mother of Mercy hospital. 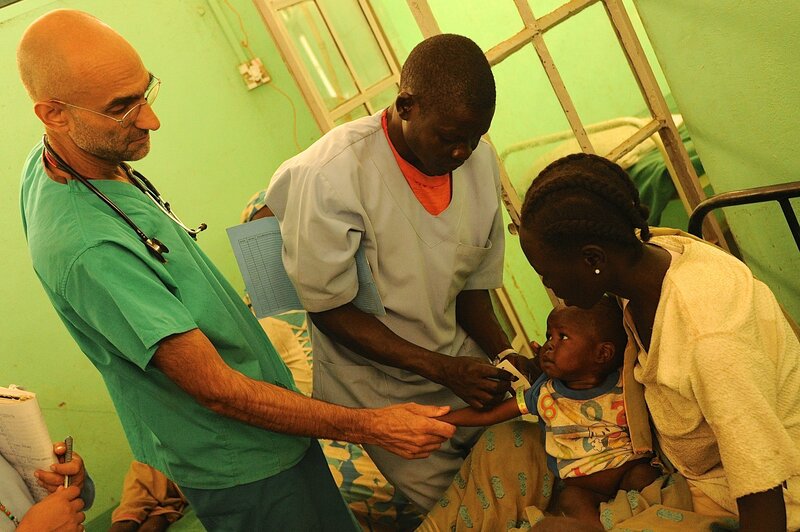 For almost 10 years, Dr. Tom Catena has treated the Nuba people, despite falling bombs. "On the Frontlines" is a new series that brings Global Citizens to the front lines of the work your actions support around the world. In it, aid workers, health and education professionals, gender equality activists, scientists, and other individuals making a difference on-the-ground tell their stories and provide an in-depth look at how to address some of the world's greatest challenges. In 2014, the Mother of Mercy hospital where Tom Catena works was bombed twice. By “here” he means Sudan’s Nuba Mountains, where the government of Sudan and the Sudanese People’s Liberation Movement have been at war since 2011 — and where Catena has served as the only surgeon for nearly a decade. From the time he went to medical school, Catena, the subject of the inspiring documentary “The Heart of Nuba,” knew he wanted to be a medical missionary. “As a practicing Roman Catholic, I felt that this would be a good way for me to live out my faith, given my chosen profession,” he said. So after five years of serving in the navy as a general medical doctor and a flight surgeon, Catena, who is originally from New York, moved to Kenya. He spent the next eight years in Kenya treating people, but throughout his time there constantly heard about the urgent need for doctors in Sudan. In 2008, Catena made the jump and moved to South Kordofan, Sudan and helped to open the first hospital in the Nuba Mountains. The mountains are home to several indigenous ethnic groups that make up the Nuba peoples — a population of approximately 750,000. But because of its location, just north of South Sudan, the region and its people have been caught up in Sudan’s civil war for years, making providing healthcare in the area extremely difficult. Without proper infrastructure or even ambulances, Catena said a major challenge of providing healthcare in the region is simply getting people and supplies to the hospital. Supplies have to be purchased from Kenya, flown into Juba, South Sudan, and then transported to a refugee camp about a six-hour drive from Mother of Mercy. Though Catena noted that if there were better roads in the area, such a trip could likely be reduced to just half an hour. The lack of infrastructure and perilous terrain also means that people wait until they are in desperate need of medical attention to make the trip to the hospital. This can be particularly dangerous when a mother in labor gets stuck at home for several days because she has no means of transporting herself to the hospital. But even seemingly minor wounds can turn catastrophic when people delay seeking treatment, and cancers that might have been treatable are terminal by the time people make their way to the hospital. On top of wounds, cancers, and illnesses like malaria, gastroenteritis, and pneumonia, which are common in the area, Catena said they most often deal with conflict-related ailments. And as the only surgeon on staff, Catena told Global Citizen that at the peak of fighting he and his staff would see anywhere from 300 to 450 patients a day — including civilians and soldiers from both sides of the fighting. “It’s been that way for almost all of the past seven years.” But Catena has no plans to leave the Nuba Mountains or its people until he knows they’ll be taken care of. For now, his hopes for the future of the hospital hang on three young Nuba men currently in medical school. The first of the students will graduate in a few years, but all three men had to fight an uphill battle to get where they are today. Because of the war and lack of educational opportunities available to them in either Sudan or South Sudan, the young men are in medical school in Nairobi, Kenya and in Uganda. It’s not just higher education that’s difficult for people in the Nuba Mountains to access, it’s education in general. And the lack of access to education, although exacerbated by the conflict, existed well before it. The lack of schools isn’t just a problem in terms of education, it’s also a public health issue. Schools are an effective way to disseminate information to children and their families and to teach them how to prevent the spread of diseases and illnesses. Catena said the area is locked in limbo for now. The government and rebels have negotiated a ceasefire agreement, but it’s unclear whether the agreement will hold. Catena describes the current situation as neither a state of peace nor fighting, but that real change and progress cannot begin to happen until a durable peace agreement is reached. He hopes that an agreement will be negotiated soon for the sake of the Nuba people whose lives have been interrupted by the conflict for far too long. 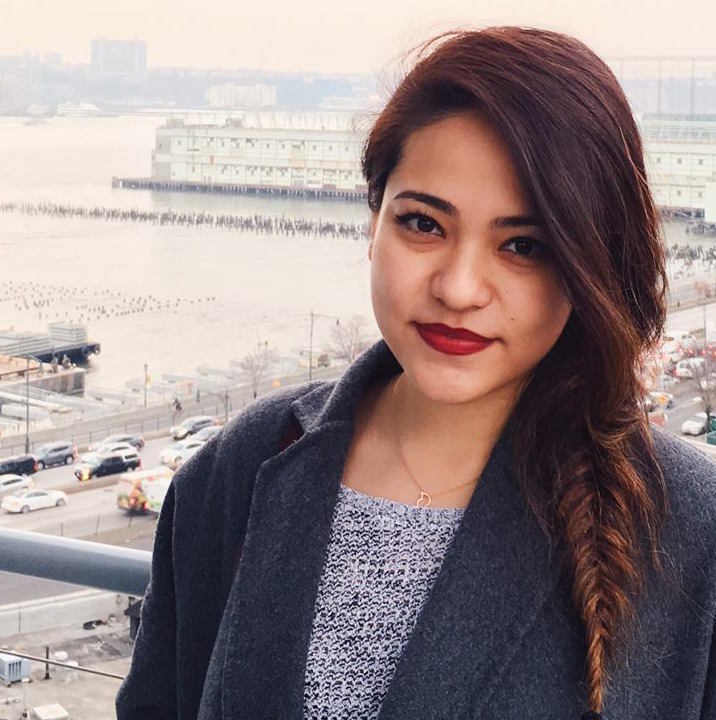 Global Citizen campaigns for equal access to healthcare and education for all. You can take action here to call on world leaders to support universal health coverage. “The Heart of Nuba” premieres in Los Angeles, California on April 20 and will then expand to other cities in the US.